Wilco has had a change of heart. A day after Indiana lawmakers approved changes to the state’s new Religious Freedom Restoration Act, Wilco announced to fans that they will now perform their tour date originally scheduled for May 7 in Indianapolis. The Chicago band’s decision to reinstate its Indianapolis performance comes just four days after its Monday afternoon announcement of refusing to perform in Indiana’s state capital. Members of Wilco voiced their disapproval of the state’s new measure, standing in solidarity with the backlash that has come against the state of Indiana after Gov. Mike Pence signed into effect a “Religious Freedom” bill that allows businesses to refuse service to gay, lesbian and transgender-identifying individuals. 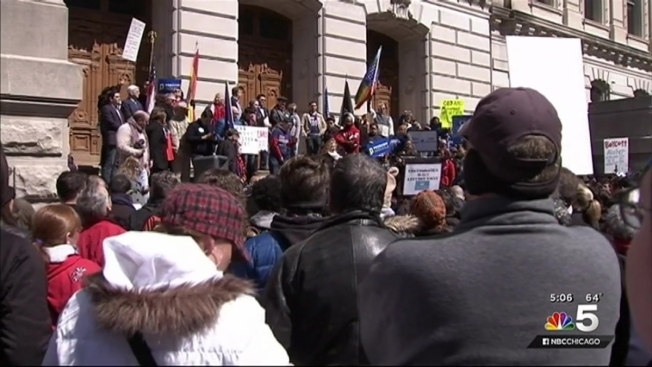 “The ‘Indiana Religious Freedom Restoration Act’ feels like thinly disguised legal discrimination to us,” the band said in their statement Monday afternoon. Tickets for the band’s Indianapolis show that were previously purchased remain valid. Refunds are also available at point of purchase. “We’ve been putting on shows with our neighbors in Indiana for more than 20 years and are happy to continue that at the Murat in May,” the band said.